Fiberglass insulation has been around for decades and provides a simple and easy solution to insulate most areas of your home. 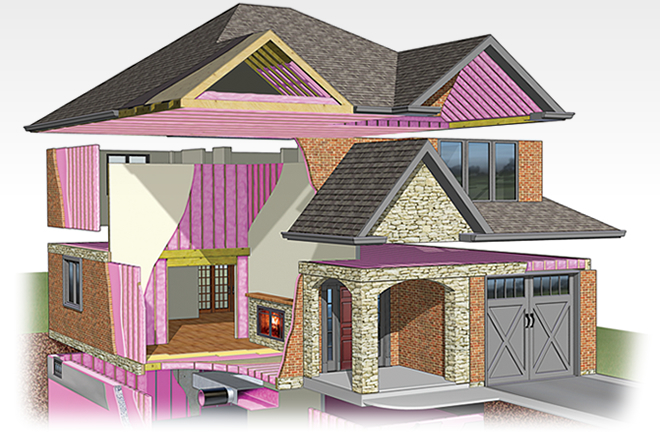 We are proud to offer Owens Corning blown-in and batt fiberglass products. 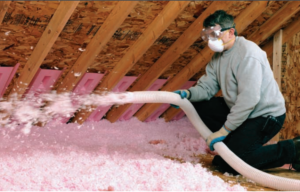 Owens Corning fiberglass insulation is the pink product that is a green solution. Scientific Certification Systems (SCS) has certified Owens Corning insulation as the industry’s highest certified recycled glass content at 35%. In addition, Owens Corning Pink Fiberglass insulation is Greenguard Certified. When most people think of insulation they think of the Pink Panther and blown-in fiberglass insulation. Blown-in fiberglass is perfect for insulating walls and attics. Fiberglass batt insulation provides an easy and affordable solution for new construction and home remodeling projects. To learn more about our fiberglass insulation solutions and to schedule a no-cost home energy audit, contact our team today.